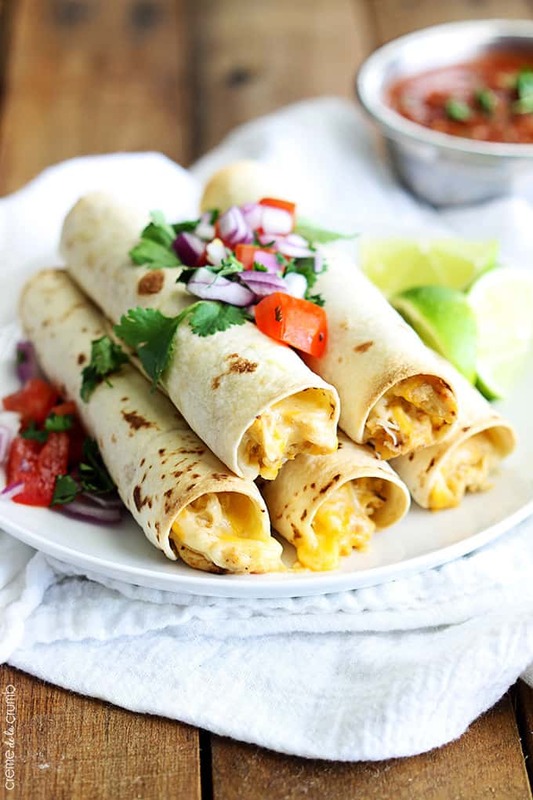 This entry was posted in Recipes and tagged chicken, taco on March 31, 2019 by The Yellow Pine Times. Place chicken breasts in a 2-3 quart slow cooker. Sprinkle with taco seasoning, add cream cheese cubes, and water. Cover and cook for 6-8 hours on low, or for 4-6 hours on high. Then spoon shredded chicken into the center of the flour tortillas. Roll tightly, and place on a parchment-lined baking sheet. Spray generously with olive oil spray. Cook in preheated oven for 8-12 minutes, or until tortillas are crisp. This entry was posted in Recipes and tagged chicken, taco on May 27, 2018 by The Yellow Pine Times. In a frying pan, add olive oil and saute the spring onions, peppers and chili. Add shredded chicken and fry until golden, then add the cheeses. 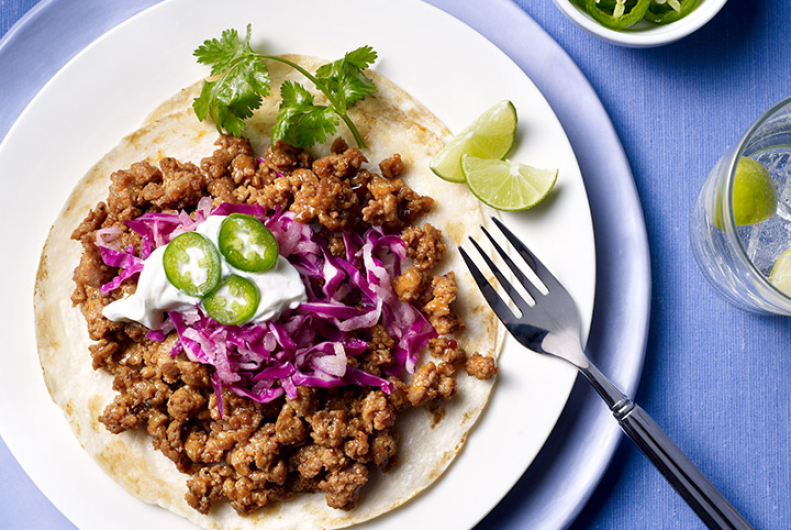 Make the tacos by placing the chicken filling on the empanada dough circles. Roll up and fry in hot oil until golden brown and crispy. For the sauce: In a saucepan, add the cheeses and cook over medium heat, stirring, until they form a sauce. Serve the tacos with the cheese sauce and guacamole. 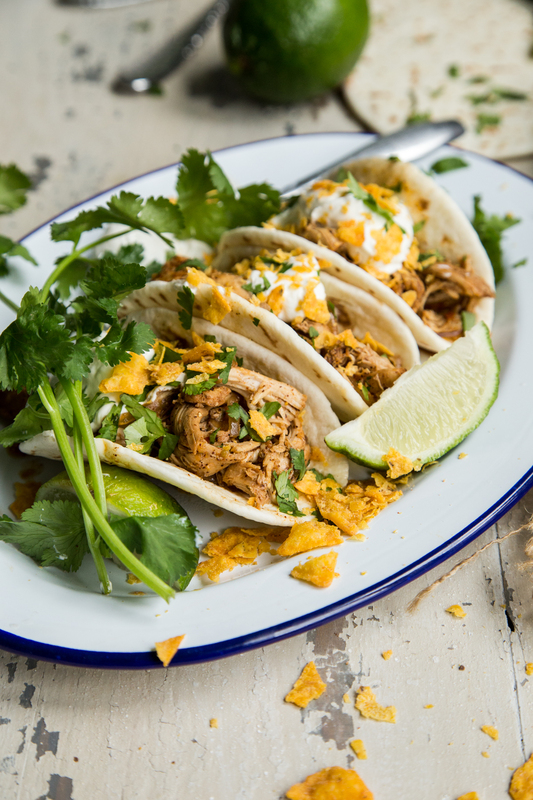 This entry was posted in Recipes and tagged chicken, taco on May 13, 2018 by The Yellow Pine Times. In a bowl, add chili powder, garlic powder, cumin, salt, pepper, olive oil, minced garlic, lime juice, white vinegar and chicken broth. Whisk until fully combined. Place flank steak in slow cooker. Cover with marinade, making sure to rub on both sides of the meat until fully coated. Cover and cook on high for 4 hours. Check at the 3 hour mark, as it might need less time. Once cooked, let stand for 5 to 10 minutes. Remove cover and using two forks, shred steak inside the slow cooker and juices. Place shredded steak on tortilla and top with onions, cilantro and salsa. Feel free to use any other toppings you prefer. This entry was posted in Recipes and tagged beef, taco on April 15, 2018 by The Yellow Pine Times.